Prime Minister Nawaz Sharif is endowed with the qualities of ‘a leader’ as he is supported by majority of Pakistanis for his distinct character and political background, writes political analyst Tom Hussain on the opinion page of Al Jazeera on Tuesday. 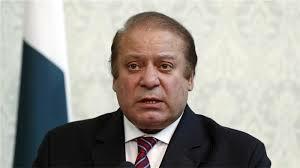 Prime Minister Nawaz Sharif during his forced exile from Pakistan during General Musharraf’s regime, spent his time mostly in Saudi Arabia, which gave him time to reflect. The writer further said that Pakistanis had good reason to feel nervous about their prime minister’s scheduled open-heart surgery on Tuesday. He said Pakistan required a leader like him at a time when it was successfully fighting terrorism while its economy was also tentatively emerging. Pakistan has undergone a breathless eight years since its third transition from military rule to elected parliamentary governance in 2008, he added. He said the elections that year were overshadowed by the tragic assassination of Benazir Bhutto and her murder heralded the onset of terrorism that had cost the country dearly. Afterwards, the spotlight shifted to Nawaz Sharif, whose sweeping victory in the 2013 general election reflected the electorate’s frustration with the declining security situation and economy, in particular crippling power shortages. His public approval ratings remained very high, according to opinion polls conducted late last year. In the by-elections, his party had retained seats in the federal parliament and the assembly in populous Punjab province.It also swept to victory in recent local government elections held there. Yeah, NS is the only viable option that he covers up his Panama Leaks, the looted wealth from his own nation Pakistan. What a mockery?